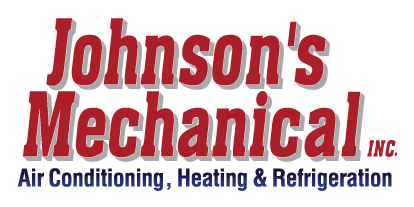 Refrigeration, Auburndale, FL | Johnson's Mechanical Inc. Refrigeration, Auburndale, FL | Johnson's Mechanical Inc.
From wine coolers to ice machines, we can take care of all your refrigeration needs in Auburndale. When you have a business in Auburndale, Florida that relies on refrigeration units like reach-in or walk-in coolers and freezers, you can’t afford to lose products and business because one of your refrigeration units stops working. Here at Johnson’s Mechanical Inc., we have the experience and knowledge needed to keep your refrigeration units working at the peak of their performance capabilities. We provide services for residential and commercial customers. We can service a wide range of makes and models or refrigeration units. We can work on all sorts of refrigeration units, including wine coolers, ice machines, and more. We can also provide maintenance, repair and installation services for your HVAC system. Our fast, reliable repairs are performed by professional technicians. We are licensed, insured and a state certified refrigeration and HVAC contractors. We are local family owned and operated and have been in business since 1982. Beyond refrigeration, we can service chilled water systems, kitchen hoods and ventilations systems, and more. We understand the importance these pieces of equipment have in your day-to-day operation. So, whether you have a grocery store, a convenience store, a florist shop, a restaurant, an office building or any other type of business, we can help keep your refrigeration units working properly. We can also offer regular preventative maintenance services, so you never must experience the worry and stress of a sudden mechanical failure. Call today to learn more about our refrigeration services.